We're running trains on the Mountsorrel Branch during the weekend 21st & 22nd July 2018. 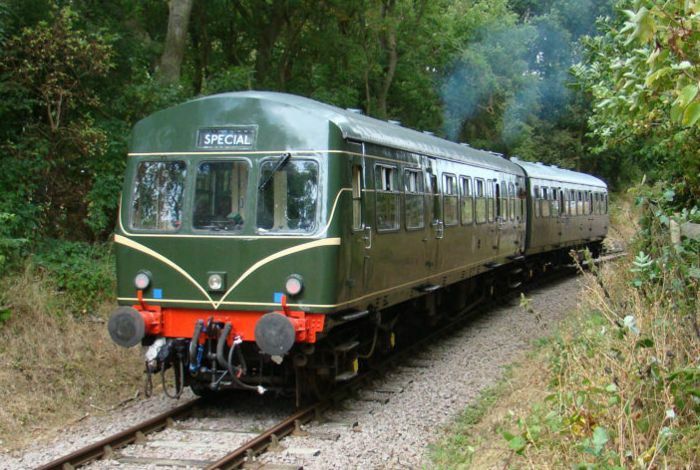 This will be an opportunity to enjoy both the GCR main line and the Mountsorrel Branch, with diesel railcar services calling at Quorn & Woodhouse, Nunckley Hill, Mountsorrel, and Rothley before returning to Quorn & Woodhouse. There will be four services serving the Branch on both days, with a regular passenger service in operation on our main line. Tickets will be available for a single journey on the Mountsorrel Branch, and also a combined ticket providing unlimited travel on the GCR main line and one trip on the Branch during the day. Please note that dogs are not permitted at the Heritage Centre (except assistance dogs). This is due to the delicate wildlife habitats around the site. 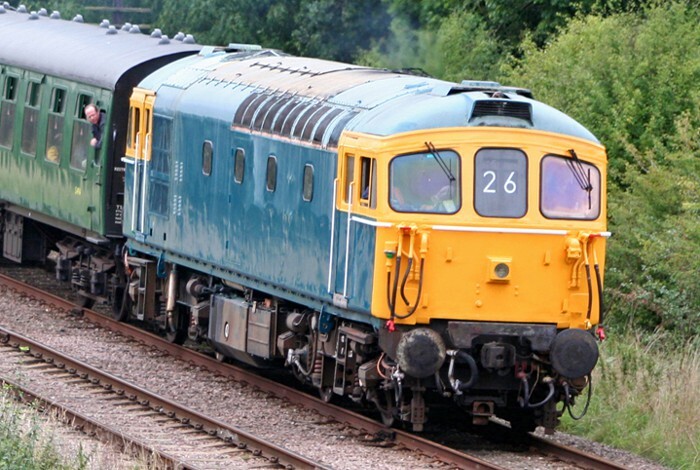 Due to the recent spell of very hot and dry weather resulting in an increased risk of lineside fires, our main passenger services will be operated by heritage diesel traction this weekend. 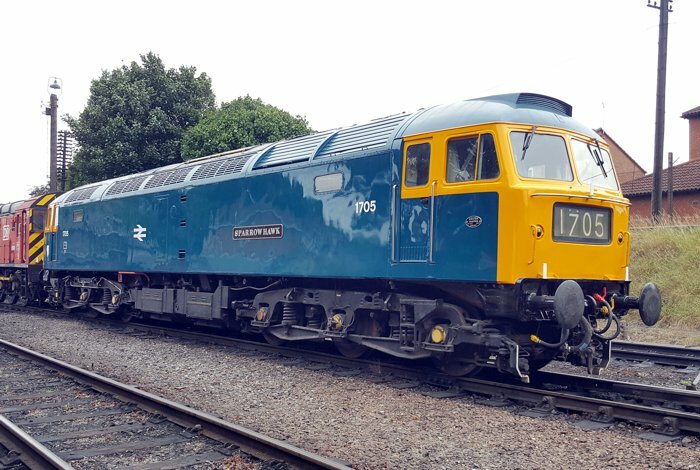 The rostered locomotives for this weekend are Class 47 1705 and Class 33 D6535, with a two-car diesel railcar operating to and from the Mountsorrel Branch. Saturday (D1): 09:30, 11:20, 12:50, 14:45, and 16:15 from Loughborough. Saturday (D2): 10:20, 12:00, 14:00, and 15:30 from Loughborough. Sunday (D1): 09:30, 11:20, 12:50, 14:45, and 16:15 from Loughborough. 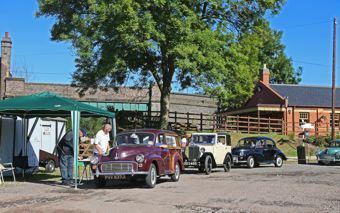 Tickets for the event are available to purchase online, either in the form of a single round trip on the branch (£6 for adults), or a combined ticket providing a single trip on the branch and unlimited travel on the GCR main line on the day. 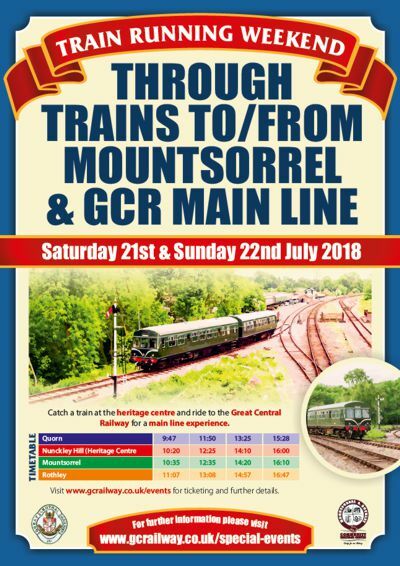 Holders of runabout tickets for the GCR main line may purchase a supplementary ticket for the Mountsorrel Branch at the discounted rate of £3. The supplement may be purchased at the same time as your runabout ticket on the day, or is also available online in conjunction with the main line runabout as a combined ticket. The supplementary ticket is available at Quorn & Woodhouse, Rothley, and from the Ticket Inspector on the branch trains. 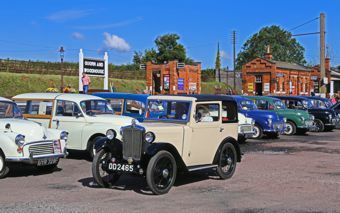 Come and see the full range of Morris Minors at Quorn and Woodhouse station some as new, some 60 years old, some used as everyday transport.